Instantly removes insect traces and other kinds of contaminations on windshield glass. Concentrated formula, a cost-efficient product. 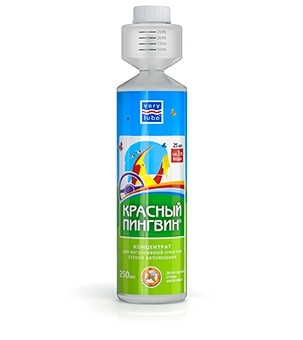 Fill the dispenser with the cleaner while slowly squeezing the main part of the bottle. Add the product into the windshield washer reservoir (mix it with water). 25 ml of the product for 3 L of water.